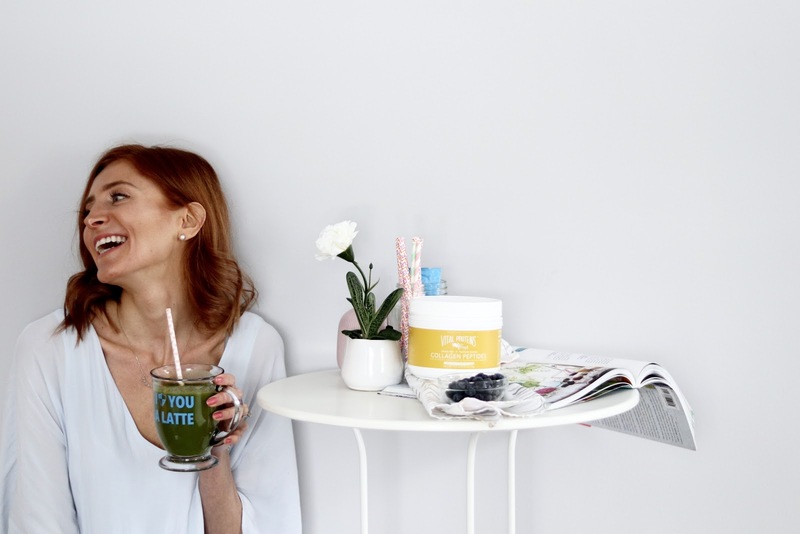 Collagen... what is it? Why do we need it? What are the benefits? I was just as curious as you. You may have seen some of my recent Instagram stories regarding collagen peptides and are wondering what's the deal. Rewind to last year when I discovered Vital Proteins thanks to The Balanced Blonde and Shut The Kale Up. I kept seeing them pour these little blue packs into their morning coffees and I needed to investigate! P.S. there is a giveaway AND a video below, so keep scrolling! Collagen is a protein found in the body. It promotes the growth of healthy hair, skin, nail, bones, and joints. But when we work out and get older, it breaks down and cannot replenish enough on its own. Collagen is great for the skin and getting that glow, too! Once it hits the bloodstream it acts as a binder for water and hyaluronic acid (you know how much I love H.A. ), therefore holding in that moisture and resulting in plump, hydrated skin. Beauty-full? Yeah, I'd say so too! It also promotes a healthy gut since it is filled with amino acids. Best way to increase collagen? Ingest it. Topically it's not as impactful. 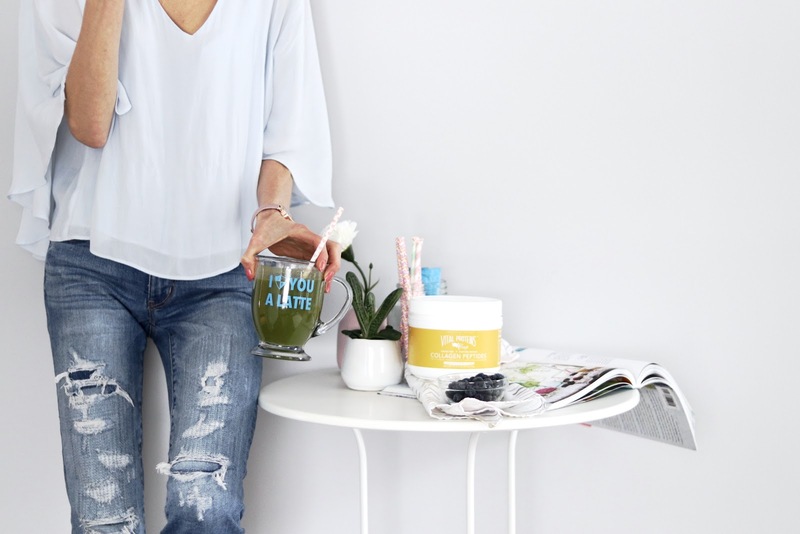 Ingesting pure and natural sources of collagen is the best way to get it right where you need it. What's the deal with Vital Proteins? Vital Proteins Collagen Peptides (aka collagen in powder form) are sourced from grass-fed, pasture raised bovine hides.No, not vegetarian or vegan, but they are gluten free, dairy free, paleo friendly and whole 30 approved! With each scoop, you are getting 20 g of collagen. That's insane. The difference between regular protein? Collagen protein has higher levels of amino acids which help to give us the strength for stronger joints, and skin elasticity. The original is tasteless and totally dissolves in liquid. They also have flavoured products such as Melon Mint, Mixed Berry, and my favourite, Vanilla Coconut Water. The possibilities are endless! Stir the original in coffee (no taste and totally dissolves), add to smoothies as a protein boost, or shake with water. I love adding a scoop in my energy balls, baked goods (like pancakes and cookies) and mixed in with oatmeal and soup. Let's put it to use, shall we? 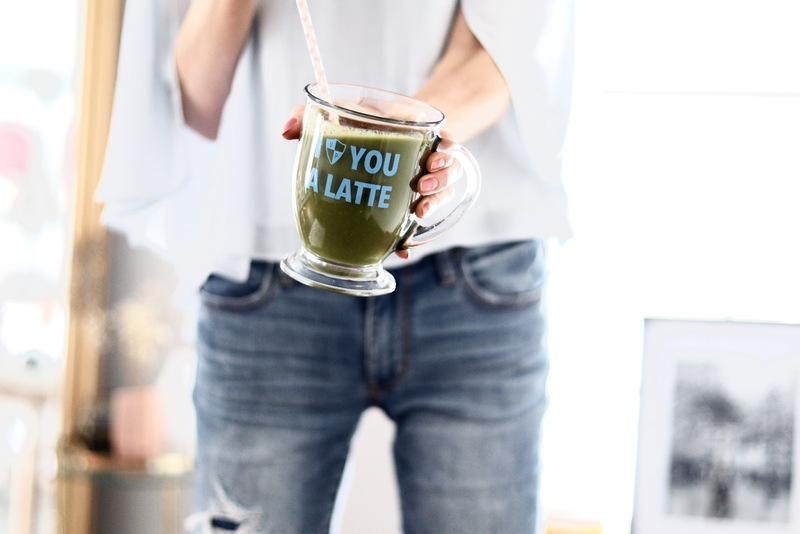 Here's a detox smoothie recipe that I am OBSESSED with. Try it out! extras: I always add in some maca powder (for balancing hormones) or ashwagandha (to release stress/anxiety), or Brain Dust (for a boost), and almond butter to make it extra creamy. Feel free to add some frozen banana slices if you'd like it a touch more sweet! top with your faves: granola, nuts, seeds, etc! GIVEAWAY!!! 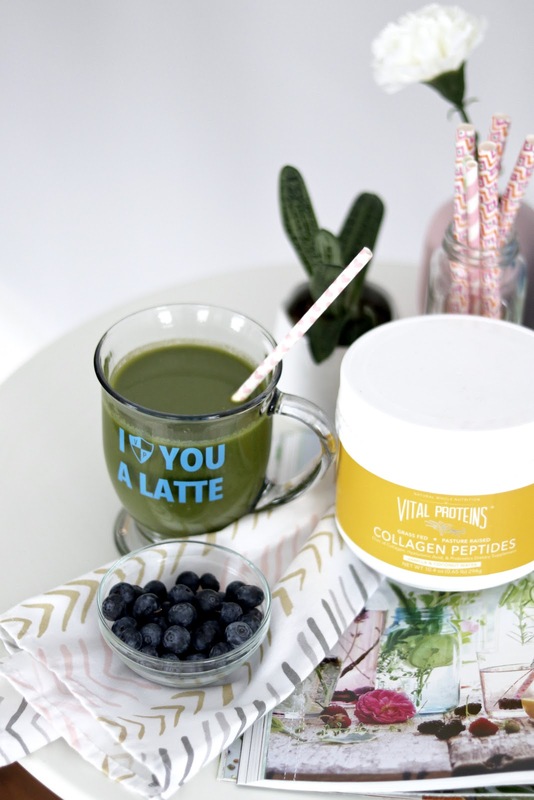 Vital Proteins and I are teaming up to give you the ultimate pack-- the Vanilla & Coconut Water Collagen Peptides AND a pack of the original Collagen Peptides! All you have to do is enter below. Super easy! Good luck! Contest open to Canadians AND US residents! Thank you to Vital Proteins for allowing me to share a product that I love! Thanks for sharing more about collagen. Just so happens I was reading about this yesterday to better understand the benefits! no, I am not familiar with Vital Proteins. 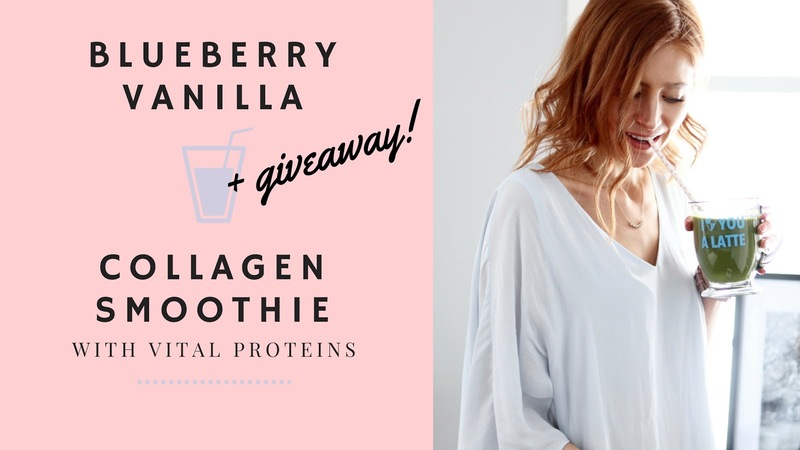 I’ve used other brands of collagen here and there and I’ve seen vital proteins on instagram but never tried it! Yes, I have seen it on stores but was a bit nervous that I wouldn't be able to handle the texture? I didn't know I needed collagen until your video. I'm definitely going to check this out. Thank you!! I had never heard of Vital Proteins before reading your post. I am eager to learn more.